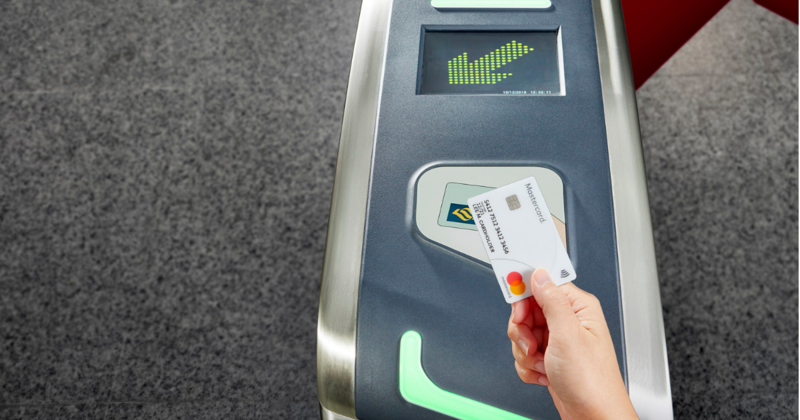 Singapore commuters can, from today (4 April) onwards, simply tap in and out of their MRT or bus rides with just their Mastercard contactless bank cards or smartphones, thanks to SimplyGo. The Land Transport Authority (LTA) shared in a press release that with SimplyGo, commuters can now carry one less card and there’s no need to “make upfront top-ups before travelling”. SimplyGo users will be charged the same fares as those using regular ez-Link and NETS FlashPay cards. However, foreign-issued bank cardholders “may be charged administrative and overseas transaction fees”, according to Business Insider (BI). Apple Pay, Samsung Pay, Google Pay, or Fitbit Pay users who have linked their Mastercard to their NFC-enabled devices can also use SimplyGo on their commute. Commuters should note that they may need to have access to the Internet for mobile payments to go through, and that they have to use the same device and card when boarding and alighting. According to this report, transport fares will be reflected on the user’s credit or debit card bills just like their retail purchases. SimplyGo users can also check their transactions and travel history through the mobile app or website. Other services on the mobile app include making “travel claims and viewing of claim status” and making payment for penalty fees, the FAQ stated. BI reported that the mobile app also lets users check for bus routes and timings. Register for an account on SimplyGo here. Login and head to the ‘My Cards’ page to add your contactless bank card. CEPAS-enabled contactless bank cards currently require the cardholder to perform top-ups before their commute. Commuters who wish to use SimplyGo with their Mastercard contactless bank card have to first make a switch in the card’s payment mode by visiting a General Ticketing Machine at any MRT or LRT stations. Commuters still have to perform top-ups before taking the train or bus if they haven’t made the switch. Visa cardholders can expect to be included in SimplyGo later in the year, LTA said. “Towards the end of the year, commuters using their ez-link cards can also start upgrading their cards to enjoy SimplyGo benefits like topping up on-the-go via the SimplyGo account,” LTA added.